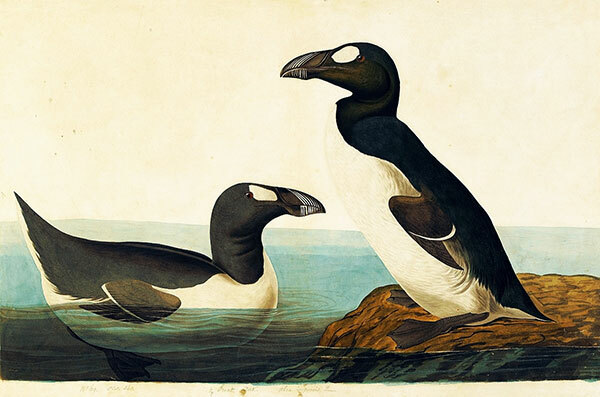 During his lifetime John James Audubon was awarded many honors, including election to England’s prestigious Royal Society, the highest scientific honor of his era. He and Benjamin Franklin (1705–1790) were the only American members until after the Civil War. Audubon is considered America’s first great watercolorist, and his ability to bring together science and art reveals the range of his genius. It has only been in the last one hundred years, however, that his name has become solidly linked with efforts to preserve America’s wildlife and wilderness areas. In 1841, aware of these cataclysmic changes, Audubon approached Daniel Webster (1782–1852), Secretary of State, to “establish a Natural History Institution to advance our knowledge of natural science with me at the head of it.” Today, Audubon’s awareness of ecological issues and his appreciation of the natural environment find expression in the organization named after him, the National Audubon Society or “Audubon,” which was incorporated in 1905, as well as in many regional Audubon societies and other conservation-minded groups.